The long-awaited Artemis Fowl movie has hit another lull, with no solid news in a long time. So to spur things on a bit, Artemis Fowl Confidential have put together an online petition to show Disney how badly we want this movie. And it has over 5000 signatures already! Add yours to the list too! Artemis Fowl the Movie At Long Last! Believe it or not, the Artemis Fowl movie is finally going to be made! It will merge the first 2 books into one film, and be developed by Disney alongside Harvey Weinstein (The same man who pushed to buy the film rights all those years ago when these movie conversations first kicked off, clearly a fan!). The screenplay will be written by Michael Goldenberg (who was behind Harry Potter and the Order of the Phoenix, so that’s a promising sign! ), and Robert De Niro and Jane Rosenthal will be involved in the production team. “That would be the dream, to have it made in Ireland, with Irish actors in it,” the best-selling author told the Irish Independent. “They are serious guys, and even their names involved in something can give it weight and a gravitas,” said Colfer. This is just the starting announcement, so the movie is still a long, long way off. But I think that after all these years of waiting, we are finally justified in getting excited. Now, your turn. Who do you want to see involved?? Get involved in all the movie discussions on our forums! Blog post on Eoin Colfer’s site. I once summoned a hotel manager to my room to demand he find the source of the weird buzzing noise. After 30 minutes of searching we found that the noise was coming from my electric toothbrush which had somehow gotten switched on it my suitcase. Goodbye to the 5th Annual Awards! Well, another year has passed, and another set of board awards has run its course. We’d like to thank everyone for their votes, nominations, and every bit of help you may have put into this project to get it on its way. Congratulations to all the winners! Hopefully we’ll get your post counts updated as soon as possible. And with that, another year of FanGathering board awards has come and passed. We hope you all enjoyed them, and will stick around to participate in next year’s awards as well! The action of giving a name to a person or thing. Why, you ask, are we beginning with a word that we have to define for most people to understand? The answer is simple. Writers, Fangirls, and ghosts alike: the AF Fanfiction editors are proud to present to you a new writing challenge, centered around this word (or its meaning, more specifically). Your challenge is to create four songfictions based on or starring four different Artemis Fowl characters and the meanings of their names. Your songfictions must be at least five hundred words each. All submissions must adhere to the archive rules. This includes spelling and grammar. They must feature one character from the book per each songfiction. All four songfictions must be under one post, to make it easier for our judges to locate them. Your entries must be emailed by midnight EDT on August thirty-first to the Editors’ designated email: fangatheringfiction@gmail.com. The finished product must be categorized as a ‘Challenge Entry’. The entries must be posted in our Fanfiction Gallery. You may not ask any other member for help, or help another participating member, have anyone beta your songfictions, or give any constructive criticism. Winner receives the honor to have their entry known as an Editor’s choice fanfiction, and will be placed in the Featured Stories page for all to read in the future. Our judges will be Artificial Asian and FowlStar. Good luck! We look forward to reading your entries. If you have any questions, feel free to contact the editor team through email or PM us. Artemis FanFic Gallery Totally Updated! Favorites – When you find a story you love, hit the “Add to Favorites” button and it will be saved for you (And you can see anyone’s favorites by visiting their profile). Reading Mode – Reading Mode helps give you the best reading experience possible. We hide away all of the clutter and give you gorgeous, easy-to-read typography. Try it out on any story! Our Fan Art gallery is one of the things we’re most proud of here. 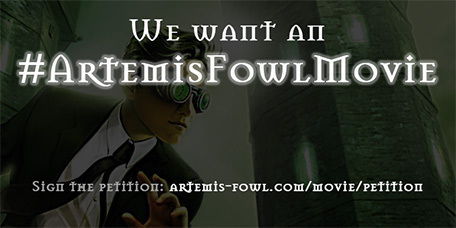 Thousands of you have joined up to it, to a point where it’s the largest collection of Artemis Fowl Fan Art on the web. If you’ve spent any time in it recently though, you’ll know its been in need of an upgrade. Our spam-protection broke down a few months ago and the place was overrun. At last, I can finally say it’s been sorted! But more than that, we have a whole new custom theme that integrates perfectly with the rest of the site. And we’ve changed our site navigation to make it easier to swap between the most important parts of this site; the forum, the fan art, and the fan fiction. Thank you for bearing with us during our spammy times, let’s hope we never have to sit through them again though!